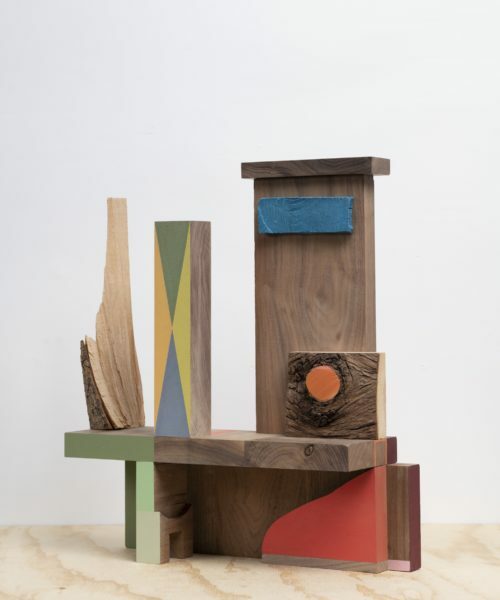 Jim Osman: The Walnut Series at Lesley Heller gallery, 2019. Installation view. Photo courtesy Jim Osman. Tatiana Istomina: A few years ago, I began a series of interviews titled Artists After the End of Art. They were inspired by Arthur Danto’s claim that art as we had known it since the Early Renaissance until the late 20th century, ceased to be, and what we call art today functions according to different principles and has a completely different philosophy – or rather a multitude of philosophies, as there is no single, generally accepted definition of art anymore. This means that almost all contemporary artists have to formulate their own definitions of art and set the terms of their artistic identities. The interviews I have recorded so far show a wonderful diversity in how artists approach this problem. 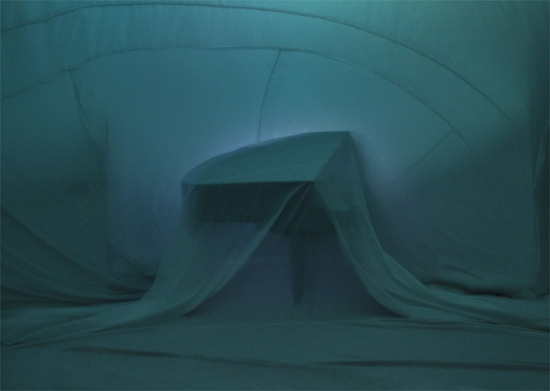 For example, video artist Sarada Rauch believes that art is ineffable, impossible to be defined or adequately described in words, and finds meaningful connections between artistic practice and religious practices requiring meditation, self-reflection and discipline. Conceptual artist Victor Skersis, on the other hand, constructs his theory of art based on mathematics, using logic to prove that art lives through continuous innovation and redefinition of its methods. I am very pleased to have a chance to talk to you today and see if we can tackle the same question in yet another way. To follow the King’s advice from Alice’s Adventures in Wonderland, we’ll begin at the beginning. What makes you a contemporary artist? Jim Osman: Sometimes the simplest questions are the hardest ones. For me doing something like cooking, doesn’t make me a cook. Same for writing or dancing, things I do or have done. I think the criteria for identifying as someone is a complex combination of education, interest, pursuit and recognition – and not necessarily in that order. Professions are very tied to training, expertise and their financial return, which creates sort of a hierarchy. Most professions have sets of rules that one needs to follow to ensure good outcomes. But if you are an artist (or a dealer), you don’t need a license to practice and don’t have a rule book or a set career path. Things get done in whatever way the artist or gallery does it. There are practices and organizations that help to provide some structure to the art world, but most of the time art has a Wild West quality about it. That said, the real work of an artist is to make responses to the world, in all its messy glory. What exactly an artist chooses to respond to – be it current political, social or aesthetic issues – and via which medium, does not make the art any better or more valid. Artists are compelled to see, feel, express and share with the world something they think is important, or critical to being human. They take chances with no financial return in sight; they become absorbed by a thing, respond to it in some way and then say to the world “Hey look at this, I think it’s interesting!” In this, artists are not so different from scientists: they pursue their interests without an a priori goal, just following their “nose”. T.I. : In science, there are strict criteria determining whether someone’s work can be accepted as valid scientific research. There seem to be no such criteria in contemporary art. How do you know that what you are looking at is art? And how do you tell if it’s good art or bad art? Is it even important? JO: I go with the idea that if an artist says it is art – it’s Art. Good art vs bad art is usually an argument based on age/generation, education and point of view. But I do like art that’s well expressed through its choice and manipulation of the form and media. If it’s “good art,” the viewer has an innate awareness of the work and responds to it in some way. Any response from the viewer means the work has accomplished something. The next question is, was this response what the artist intended? And then I ask myself – does it even matter? So much art seems to be over-determined in that the artist wants a particular response to the work, something that is important to them. But the world does what it wants most of the time. 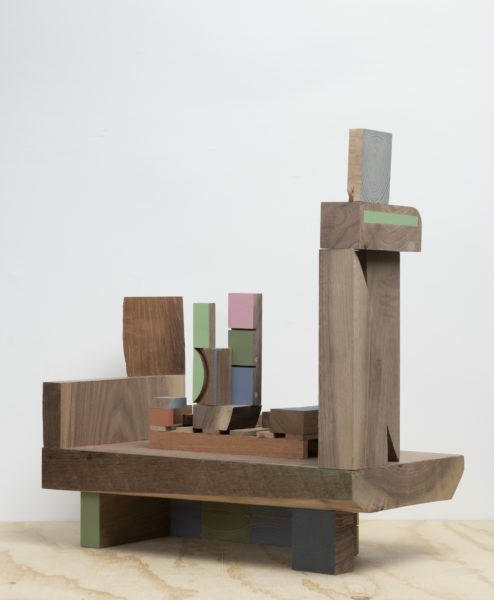 Jim Osman, Still, 2018, Wood, 94”x 30” x40”. Photo courtesy Jim Osman. T.I. : What is the profession that is most like your own art practice – a furniture-maker? An explorer? A psychic? An architect? JO: Hmm, that’s a good one. I do like the idea of being a furniture maker but – here’s two reveals – if I knew I could have become a landscape architect I may have gone that route. I love nature in a hands-on way – planting, working with the earth, walking in it/through it. At some point around twenty years ago, I spent years reading about garden design history. 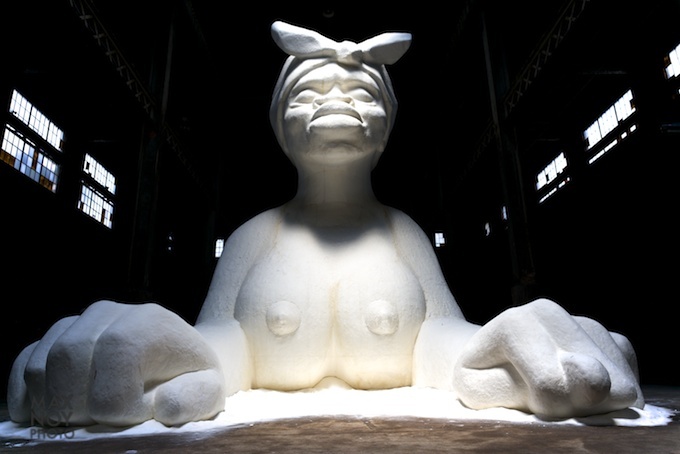 It did affect my work in its relation to scale and creating body experience. And second reveal – I would love to be a poet if I could write better. Once I was at a party with a bunch of different people, many not artists. I met a man and we started talking about ourselves, where we live, what we do, etc. Somehow, we got on the making and showing of art and he suddenly asked me “You mean you make work that you may not show or sell?” When I said yes, he was flabbergasted. That was a moment when I realized that the general public doesn’t always get an artist’s life. I have taught art for 32 years, and I used to say I was an educator first, then an artist. Now I always say sculptor first. There is a saying in baseball – “Lose on your best pitch,” which I take to mean try your hardest with your best skills and you will have no regrets if you don’t win or succeed. Yeah, once in a while I say to myself “what am I doing?” But then I go into the studio and start to work and it all makes sense. Jim Osman, Blue March. 2018, wood, paint, plaster 20”x 18.5”x 10” Photo courtesy Jim Osman. T.I. : I think one of the major vectors of tension in your artwork is between things that are organic, natural and spontaneous, and those that are man-made, artificial, geometric. I would describe it as a precarious balance between control and letting go – something which I continuously search for in my own work. Would you agree with this description? JO: I think it is more about different kinds of control – by nature, culture, the artist and so on. I like to put together simple opposites to get the most contrast out of a pairing. Some basic ones are big and small size, or light and dark color. I also like to show a material, like wood, in several states of being. You can see this in Blue March, where there is a shard of split wood, next to a squared-up block of wood, next to a plaster casting of a board’s end – all in the same piece. All are autonomous – doing what they do, but also composed to make the piece work as a whole. T.I. : Wood seems to be your favorite medium. There is an implicit violence in how you force it into rigid forms and complex structures, but there’s also great gentleness in the way you attend to its coloring, texture, even the mood of a particular piece. What is special for you in working with this material? JO: I like (love) wood for the reasons you succinctly point out. I use it in its natural state (stumps, with bark, snapped and shattered), when its shaped into nominal forms (2×4’s, beams, planks) and made into utilitarian forms (furniture, architecture, joinery). Wood appeals to me by its ability to not be restricted in how it can be worked. It can be shaped/modeled not unlike plastic materials such as clay or wax, to create symmetrical or asymmetrical form – biomorphic or geometric. It expresses itself well in relation to strength, and in how one uses the grain to make joinery and connections. It has an inherent color that can be changed or enhanced, and its surface reflects its interior via the grain and knots. Jim Osman, Deck. 2018, wood, paint, 20” x 18.5” x 10”. Photo courtesy Jim Osman. T.I. : Another important element in your work is painting. To me it looks like in many of your pieces once the sculptural form is resolved, you switch into a painter’s mode of operation and approach the work as if it were a three-dimensional canvas. On the other hand, you sometimes use lumps of solidified paint as building elements, complicating the relationship between the sculptural and the painterly, the form and the color… Could you talk a little about your working process? JO: I have a few ways into the work. One is exactly as you point out, I make a sculptural form and then start to apply color. Sometimes in the process, I go back to reconsider, remake, reshape a sculptural element – or the whole thing. I also make a lot of ideas into objects. By this I mean if I discover something visually interesting about a material or method I make a study of it. This could be connecting pieces of wood to express the grain. Painting a piece of wood to affect its form, making a cast in paint or plaster. I call these “starts” and have hundreds of them on shelves to look at. Sometimes I pick one off the shelf and plug it into a piece I’m working on. I’ve come to realize I’m making my own found objects and in a way collaging with them – and that ties back into painting for me. In my show (The Walnut Series at Lesley Heller Gallery, January 9 – February 17, 2019 – T.I. ), there is a piece called Deck. It’s the largest, and the last I worked on, and it has a motif of a pallet, which one sees underneath freight or boxes in a warehouse. I was looking for a way to activate the middle section of the sculpture and was putting things into the work out of my collection of “starts”, but nothing worked. Then I made this little wood pallet form out of cedar, a beautiful soft cinnamon color, and placed it on the larger sculpture. It looked about the right size, but wasn’t functioning – by which I mean it wasn’t holding anything or doing its job. So I began putting various premade “starts” on the pallet and composed a still life of sorts that made a small landscape in the middle of the sculpture and boom! – it was done. 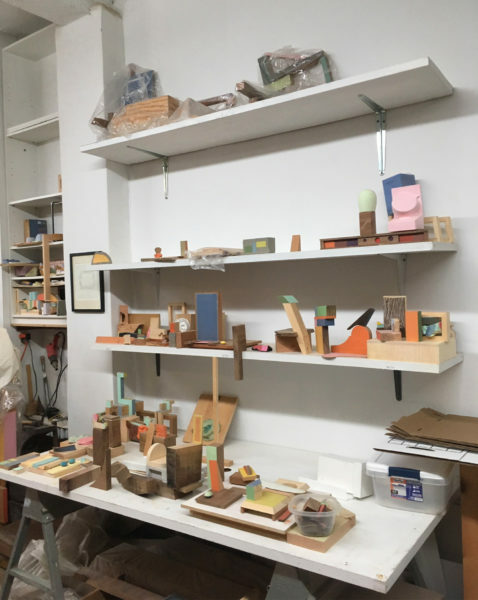 The view of Osman’s studio, with shelves of “starts” and pieces-in-progress, 2019. Photo courtesy Jim Osman. T.I. : So what you are saying is that a piece grows out of an “embryo” – some relatively simple visual idea or observation, which then gets elaborated and connected to other ideas and elements to create an ensemble. This sounds very much like composing a musical piece. I am thinking, for example, of Johann Sebastian Bach and his analytical compositions exploring the possibilities of musical forms such as a fugue. JO: I listen to a lot of Baroque and 18th-century music, for the reason you point out. And I have always worked in series, starting with a simple idea and trying to invent as many interpretations of it as I can via various materials and methods. T.I. : Your work is very harmonious; there are few or no sharp notes; everything is delicate, subtle and perfectly balanced – once again, reminding me of Bach’s music. Most of your sculptures seem quiet, thoughtful, even dreamy pieces. They are very different from the world we live in! Some artists bring their frustration with the world into their work, while others create a parallel, harmonious universe to oppose the dark and chaotic reality of our everyday life. Your work seems to be of the second kind. Is that something you consciously aim for or does it happen spontaneously? JO: One of my favorite visual artists is Chardin. His seemingly simple but intricate compositions are like a clock or a machine. An organization of parts that function together but the separate elements like a knife or bowl have an integrity, even a soul. That said, I do like the harmony of structure, the tension of balance. Maybe it’s my way of responding to the inherent messiness of life? I am greatly influenced by the architecture of buildings, but also structures like bridges. And I also respond to articulated spaces like an alcove, porch or a space under a chair. Overlooked and seemingly minor, those kinds of spaces, when combined with objects, may make very complex and engaging art. 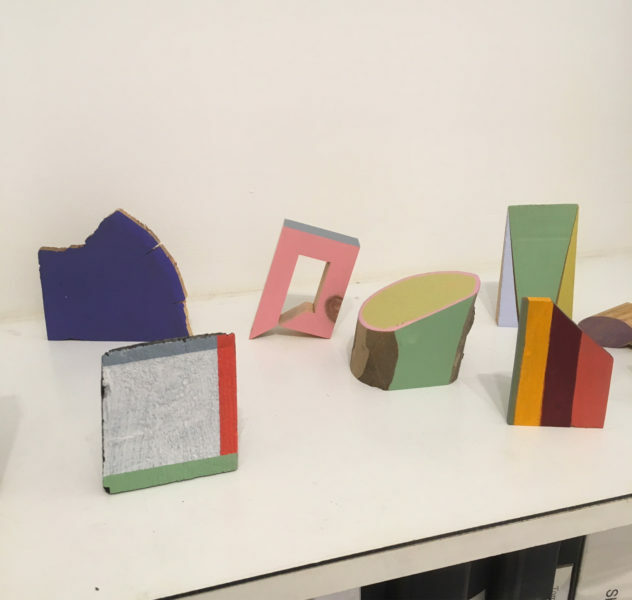 Selection of “starts” in Jim Osman’s studio, 2019. Photo courtesy Jim Osman. T.I. : This is an intriguing proposition: articulating spaces – functional, ignored, invisible spaces, even negative spaces (I am especially fascinated by the space under a chair) – through physical objects. One might view your sculptures as characters, anthropomorphic creatures re-inhabiting these ignored, unlived-in spaces. JO: As I build I think about the dynamic between a form and its use, especially when the form has an echo of furniture or architecture in it. Chairs, doorways, steps all are figurative for me, which means they can have posture, express gravity and tell a story about how we fit into the world. This may be the major theme in my work: personal space understood and articulated through perception. It reflects a crucial question: how we, humans, understand the world and find our place in it. T.I. : Do you think that form has an innate, universal meaning, and may communicate something valuable to the viewers, regardless of who they are and where they come from? Or is it the matter of convention, the result of conscious and unconscious modes of thinking and perception prevalent in a given society, and has no meaning outside it? Or could there be a position lying in between these two extremes? JO: I am torn between thinking there are universal visual truths like images of the sun or water (things we all understand) and that some things are very topical and relate to a specific time and place. When I was in school there was a debate – still ongoing but not as critical – about the relation and hierarchy of form and content. I always felt that my ideas and the way I chose to express them were inseparable and indeed clarified each other. And to tweak your question a bit more, I also think materials have a certain autonomy in that wood or plaster have innate qualities that resist our intentions. And it’s that resistance that pushes form to new expressions. T.I. : You’ve been making and showing art since the early 1980s, and a lot has happened since then. What were the major changes and influences that helped to shape your work and your artist identity through the decades? JO: I get out and see a fair amount of current work in shows and studio visits. I also teach and see nascent work being made. I would be lying to myself if I didn’t acknowledge its effect on me somewhat. But the things that still surprise and compel me to make work are the ideas I had 30 years ago about personal space, the body and our interiority. I remember seeing new work as it emerged, back then, and finding it influencing me. Some of it was by figurative artists from Italy: Clemente, Cucchi, etc, and from Germany, like Baselitz. I came from a figurative background and even though I didn’t want to do that anymore, when I saw Salle’s work I was struck – not by the subject matter, but the form. I really was taken by his use of the diptych format, both horizontally and vertically. I loved the mash-up of images butted up against each other that were a narrative – but also weren’t. Formalism kind of hit a wall maybe in the mid-70’s. I saw it as a rejection of figurative art and by extension the academy and accepted norms of what was art. But I always felt form was meaning. The choice of a color, shape or scale was personal and helped translate your ideas into form. John Russell was a New York Times critic in the 80’s and was writing about a show at the Hirschhorn called Content: A Contemporary Focus 1974-84. 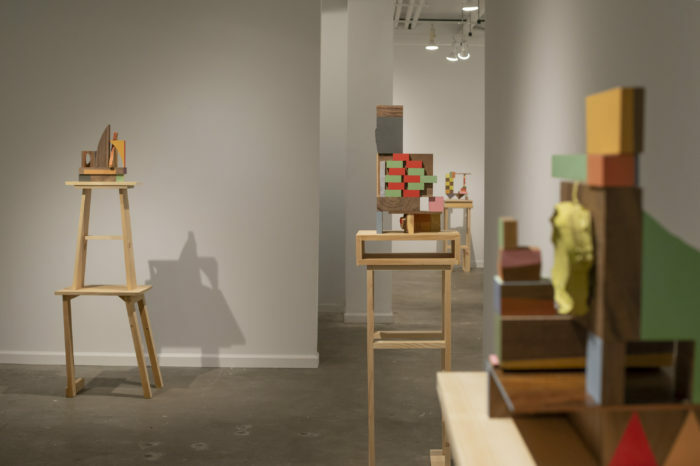 The show was about the re-emergence of content after two decades of formalism. But Russell points out that formalist art had “bags of content” and it was that special relationship between what one was saying and how it was said that made good or successful art. When I read that in 1985, I was struck by his choice of the word bag as the carrier of ideas. The prosaic container to hold precious content was the perfect form to express his idea. 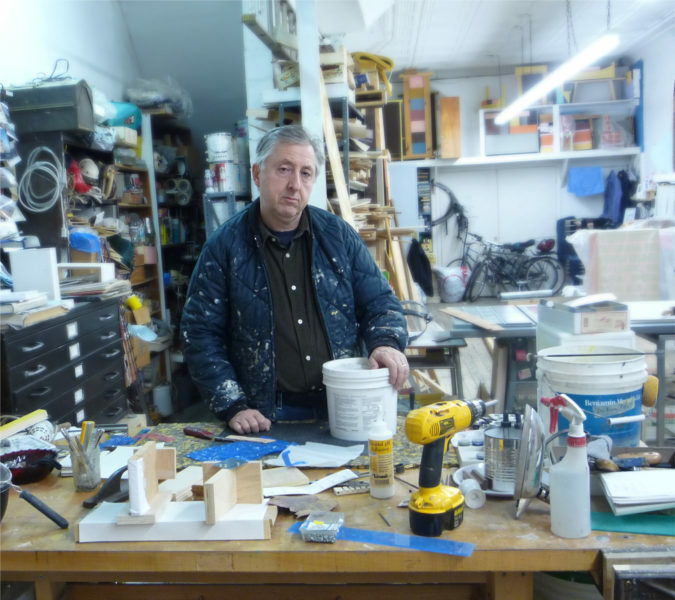 Jim Osman in his studio in Brooklyn, 2019. T.I. 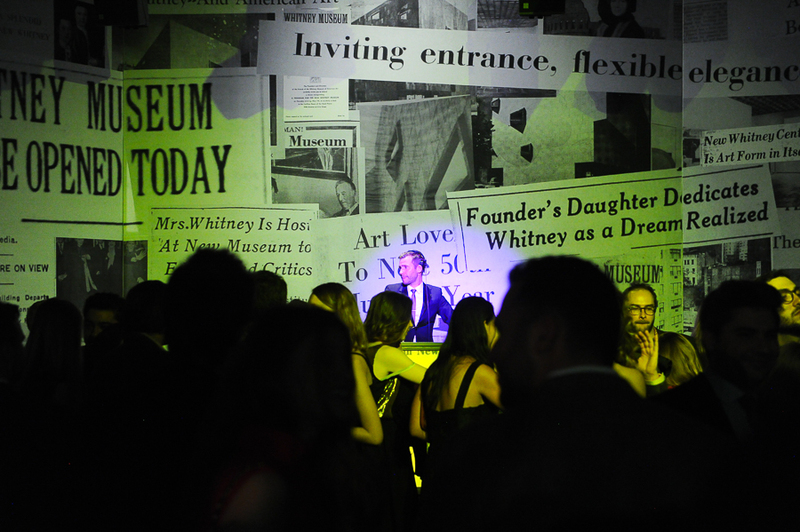 : So what do you think makes us contemporary artists? How are we different from the artists of previous eras – tribal bead – and pottery – makers, the Renaissance masters and the 20th century modernists and formalists – and are we in fact that different? JO: Right now it seems as if everything is possible in art either through technical innovation – digital production – or the sampling of various forms, cultures, times. With everything up for grabs, some contemporary artwork can appear complicated without being complex. I think when people look back at this time they will see things we do not notice at the moment. Each era has its own subject matter; artists are compelled to see and respond to the most vital issues of their times in ways that are topical and contingent. Still, I believe there is a certain continuity to art through time, which probably comes from basic human experiences we all share. Jim Osman (b.1956, New York) received his MFA and BA from Queens College (CUNY) in Flushing, NY where he studied with Tom Doyle and Lawrence Fane. His work has been exhibited at institutions nationally including the Brooklyn Museum of Art, the New York Public Library, the Queens Museum, Long Island University’s Kumbal Gallery, Dartmouth College, and the University of Texas at San Antonio. Osman has been awarded residencies at The MacDowell Colony, Yaddo, and received grants from New York Foundation for the Arts (NYFA) in Crafts/Sculpture in 2017, Parsons School of Design and the Brooklyn Arts Council. 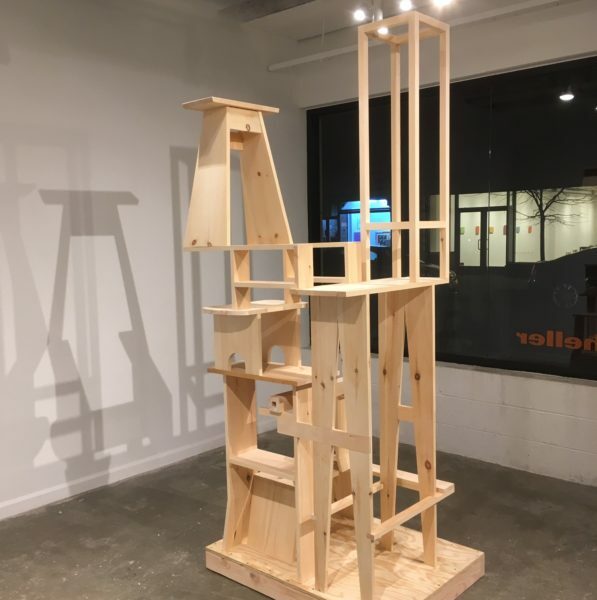 Osman’s public sculptures have been shown at PULSE Miami, FL; Art Hamptons, NY; and Sculpture Mile in Madison, Conn. Jim Osman teaches courses in three-dimensional design, public sculpture and making classes at Parsons School of Design. He lives and works in Brooklyn, New York. Tatiana Istomina is a Russian-born multi-media artist and writer living in New York. Her projects have been featured in exhibitions and screenings across the US and abroad; venues include Moscow Museum of Modern Art, Blue Star Contemporary Art Museum, the Drawing Center, the Bronx Museum, Gaîté Lyrique, and Haus der Kulturen der Welt. Istomina is a recipient of several awards including the AAF Prize for Fine Arts, Joan Mitchell Foundation grant, the Chenven Foundation grant, the Puffin Foundation grant and the Spillways Fellowship. 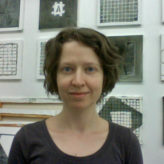 She holds a PhD in geophysics from Yale University (2010) and MFA from Parsons New School (2011). 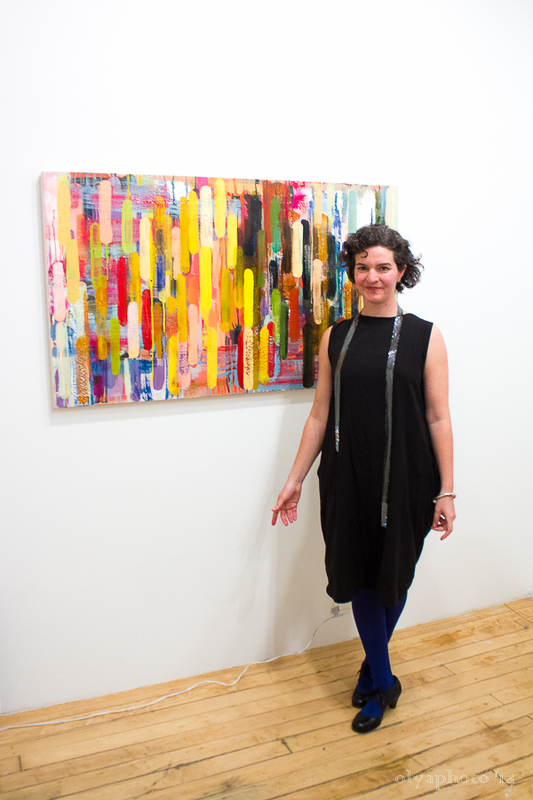 She is a contributor to several art magazines, including Art in America, Hyperallergic, Brooklyn Rail and other publications. I truly enjoyed reading through this interview. 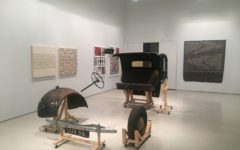 I had seen the exhibited work at Heller Gallery, and found the attention to detail fascinating. Jim’s words describing his process, now has added to my perception of his work. Thanks.